Freelance writer and substitute teacher, Lily Ellyn Dunn is an avid traveler and (most importantly) an ice cream connoisseur. She and her husband are trying to adjust to life in Columbia, SC after two years in South Korea. Dunn wrestles with life, faith, and every day grace on her blog, http://lilyellyn.com. You can also find her on Twitter @lilyellyn. 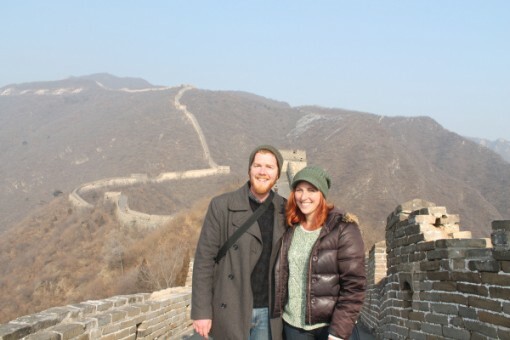 Lily Dunn and her husband exploring the Great Wall of China. Where did you grow up and where was the first place you traveled to? I was born and raised in Lafayette, LA and lived there my whole life until I moved away for college. My family and I took family vacations to Florida, Arkansas, New York, and once to Michigan when I was a kid, but the first place I traveled outside of the US was Mexico. I went to Puebla, Mexico for 10 days on a mission trip with my school when I was a freshman in high school. Your website focuses on your experiences as an English teacher in South Korea. What made you decide to teach there? I had always been interested in living abroad and knew that teaching was a good way to do that practically. I wasn’t particularly interested in Asia in the beginning, but as I began to research teaching abroad opportunities, the demand was clearly greatest in Asia. Within Asia there are sort of three tiers of countries that accept English teachers. The lowest tier would be countries in Southeast Asia like Vietnam and Thailand who have very few requirements for foreign English teachers (sometimes just being a native English speaker is enough), but the pay is very low, only enough to get by in those countries, which have very low costs of living. The top tier contains countries like Japan, Hong Kong, and more recently China, who prefers teachers with teaching licenses or Master’s degrees. These jobs are more competitive and pay well, often including housing and airfare reimbursement, but they can be harder to get and the cost of living is quite high in these countries. Korea falls into this happy middle tier. There is still a decent amount of demand for teachers and they are often willing to take college graduates without prior teaching experience. The pay is comparable to what a first-year teacher would make in the US, but usually also includes housing and airfare reimbursement. This makes Korea a great choice for people looking to have a cultural experience while also saving money or paying off debt. Korea is also an extremely safe country with modern and affordable healthcare making it a good practical option as well. We decided to teach abroad to satisfy our thirst for adventure, but we chose Korea for mainly practical reasons. 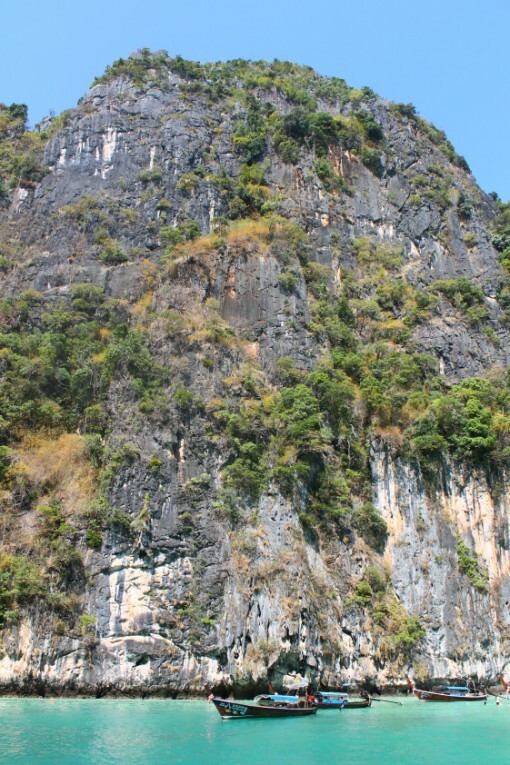 Dunn’s visit to Krabi, Thailand. 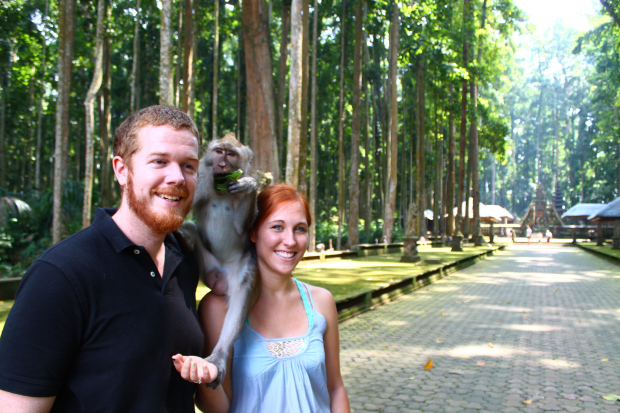 What was your life like before adventuring to South Korea? Just before moving to Korea I was living with my husband in Raleigh, North Carolina. I had quit my job as a marketing assistant for a commercial real estate company and was taking graduate school classes online and working as a nanny. My husband and I had been married for three years and neither of us had found jobs we envisioned as long-term careers. We loved living in Raleigh, but when the opportunity to live and work in Korea became a real possibility, we knew this was the perfect (and maybe only) time in our lives that we could do something like that and we knew we couldn’t pass it up. We had nothing to lose. The hardest part was leaving behind our friends and family and our two cats. Have you visited any other countries? I have visited 23 countries and have been to every continent except Antarctica. My life goal is to visit at least 100 countries before I die. Why did you begin writing about your experiences and when did you start? Writing has always been my passion and was something I was doing long before I had a lot of serious traveling opportunities. When I began to make travel a significant part of my life it was natural to incorporate my travel experiences into my writing, but I didn’t start regularly writing about travel until I moved to Korea in 2013. My husband and I kept up our travel blog (Two Sore Thumbs) for most of our first year in Korea and then transitioned Korea-related posts to my personal blog (Such Small Hands) during the rest of our time there. 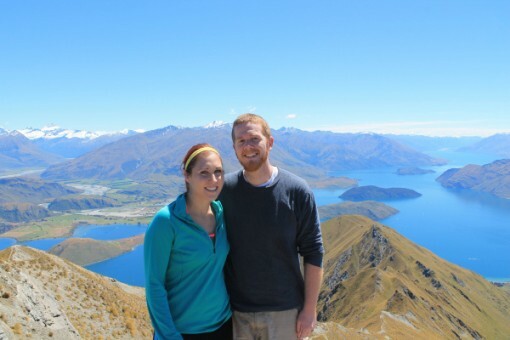 Dunn and her husband in Wanaka, New Zealand. Out of all the adventures you’ve taken on, which was your favorite? Tell me a bit about it! Choosing a favorite adventure is a little like asking a mother to choose her favorite child – they’ve each been valuable to my life in unique and different ways – but some of my favorite moments and most surreal experiences have been paragliding in Korea, standing on the Great Wall of China, island hopping in Thailand, and traipsing around the south island of New Zealand (I think this last one is the most beautiful place in the entire world). As an American, how has living in South Korea for two years shaped your life? That’s been especially interesting to think about in the two months that I’ve been back in America because I don’t think I completely understood all the ways that Korea has changed me until I came back. Living in South Korea gave me such a love/hate relationship towards my own country and culture. In Korea, I often heard stereotypes of Americans that made me cringe (for example, that we were picky, loud, fat, and can’t eat spicy foods). When I returned to the US after two years away I found that I viewed my own people and culture as an outsider in some ways. Everything and everyone here feels huge and loud and obnoxiously friendly to me. Korea will always be a part of me in ways I can’t even completely understand right now. Living abroad was one of the most difficult things I’ve ever done, but it was also the best and I wouldn’t trade the experience for anything. Dunn and her husband at Monkey Forest, Bali. Is there any advice you’d like to share for adventurers looking to make a living out of experiencing the world? A lot of people look jealously at others who have taken a leap and moved abroad, but they feel like they could never actually do that themselves because it’s not practical. I know that because I was one of those people for a long time. If you are someone who longs for an adventurous life, but always hears that little voice of reason telling you that you can never do it because it isn’t practical, I am here to tell you that it can be. Sure, not everyone can make it just be travel blogging, but teaching abroad can be an amazing way to support yourself, immerse yourself in a new culture, and travel in your free time. We are back in the US for now, but I wouldn’t be surprised at all if we ended up abroad again in the future now that we know that it really is possible. Thanks for reading! Lily is an amazing person — I just had to feature her story!